AT&T announced that it has ditched its plans to bring its 4G LTE services as an option online connectivity in aeroplanes, according to airline industry news blog Runway Girl Network. 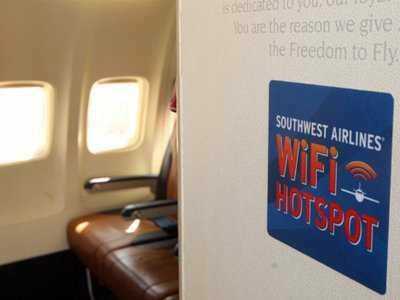 The announcement comes just about six months after AT&T announced its initiative, which would have brought “high speed 4G LTE in-flight connectivity service” to airline passengers, as an alternative to Wi-Fi from services like Boingo. In a statement to Runway Girl, the carrier said it plans to continue focusing on growing its international markets rather than delving into the “inflight connectivity” industry. As AT&T explores opportunities for future growth and diversification, expanding our international presence has remained an area of interest. On Friday we announced our intent to acquire Mexico wireless company Iusacell. After a thorough review of our investment portfolio, the company decided to no longer pursue entry into the Inflight Connectivity industry. We are focusing our capital on transformative investments, such as international and video. We’ve reached out to AT&T for additional comment and will update this post if we learn more.